Giraffes haven't been having a good few months. First, last November, a newborn calf died just weeks after it had been born. Then, at the same zoo, another giraffe gave birth resulting in the death of both the cow, a beloved giraffe named Cami and her calf. But as if that wasn't bad enough, the news for Giraffes has just gotten worse: they have just been added to the endangered species list. Many people are unaware that the Giraffe is in danger. According to a 2016 survey, there are less than 100,000 of them in the wild. In fact there are are more elephants on Earth than giraffes. Since over the last generation, almost 40% of the species has been lost, their slow disappearance, has been called the "silent extinction." Giraffes are in this dire situation because of two main reasons; human encroachment into their habitat and poaching. 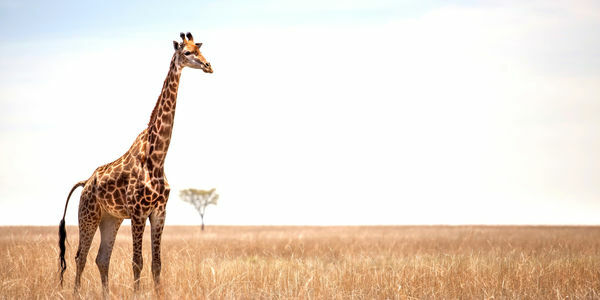 Construction and other industries have pushed the giraffe off their principal grazing lands and locals in some areas rely on giraffe meat for food or sell it for profit. According to the Rothschild's Giraffe Project, "freshly severed heads and giraffe bones" can bring in nearly $150. Considering that over half the people in Africa live on less than a $1.25 day. Giraffe poaching is a lucrative business. While some giraffe species are holding stable, others are so close to disappearing that they have been designated "critically endangered". The next classification is "extinct in the wild," meaning the animal can no longer sustain its population naturally.